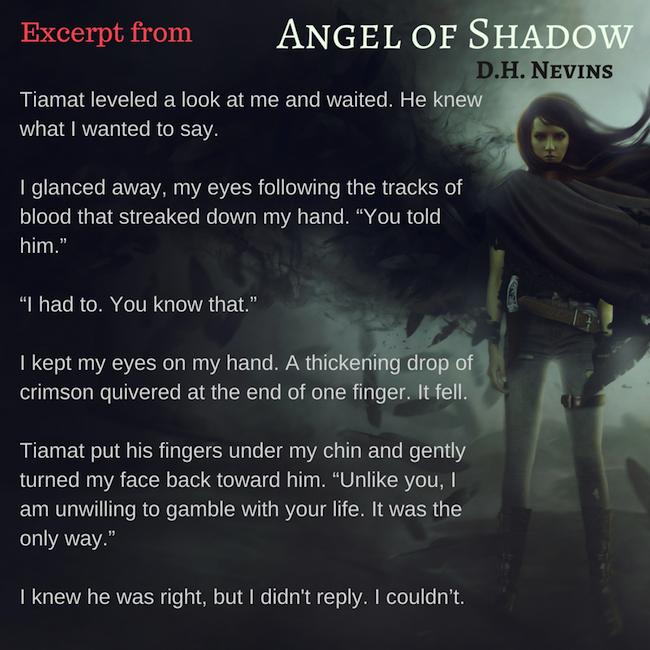 D.H. Nevins hurtles you into a world of half-angels, demons and tormented love in this driving, dystopian sequel to Wormwood. 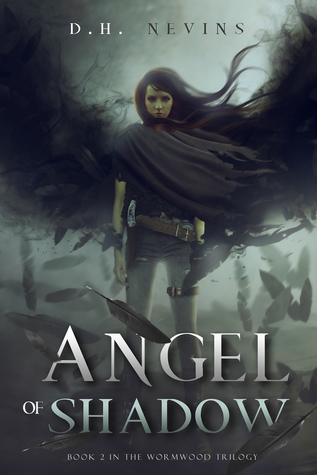 Half-angels, known as Nephilim, have all but destroyed the surface of the Earth. Yet for Kali Michaels, her life is now much more complicated than simply surviving. Grappling with her own powerful identity, she worries her connection to the world of Shadows could destroy those around her. And what if she hurts Tiamat Wormwood, the Nephilim outcast who has given everything to save her? Tiamat and Kali know they have no future—not when outside forces and Kali’s own power push both the humans and the Nephilim to the brink of extinction. 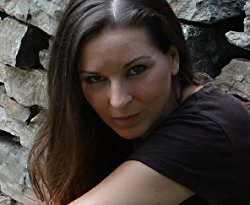 As she fights to stop the inevitable, she is led to question who her real enemies are, and whether the ultimate threat may actually be herself. “Yeah. Alright,” he said softly. I couldn’t see the expression on his face, but he sounded like he believed me—a tentative belief, perhaps, but it would do.